Welcome to the first day of my Valentine Craft Series! I've got lots of fun projects lined up for this week. I hope you'll join us every day for a new tutorial. Subtract 2-3 inches from the band length (Kayleigh's waist measured 17 chubby inches, so I cut the elastic to 14 inches) Sew the elastic into a loop. You can either use a sewing machine (use a zig-zag stitch to make sure it's secure) or hand-sew it together. The nice thing about tulle is that it's super forgiving. So don't stress that your cuts aren't perfectly straight. I bought my tulle for 33 cents a yard after Christmas. Score! By the bolt is probably your cheapest bet (at most, it'll be $2 a yard) but like I said, the roll would be really handy. Your call. I cut my tulle into strips 6in wide by 18in long. 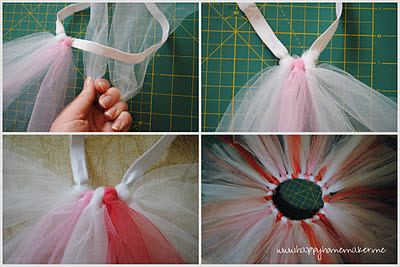 To tie the tulle to the elastic band, fold two strips of tulle in half and place the loop under the elastic as shown. Pull the ends through the loop, and tighten the knot. Two white, a pink and a white, two white, a red and a white, etc. It's kind of hard to keep the elastic from twisting as you add new knots, so find a way to keep the elastic taught. If the waistband is big enough, you can stretch it over the back of a chair or use the lingerie hooks on a hanger. Since Kayleigh's waist isn't big enough for that, I just stretched it over my leg. But you definitely don't need a picture of that. Keep adding the tulle, two strips at a time, until you reach the desired fluffiness. Next, I made a matching headband using leftover scraps and some elastic lace. 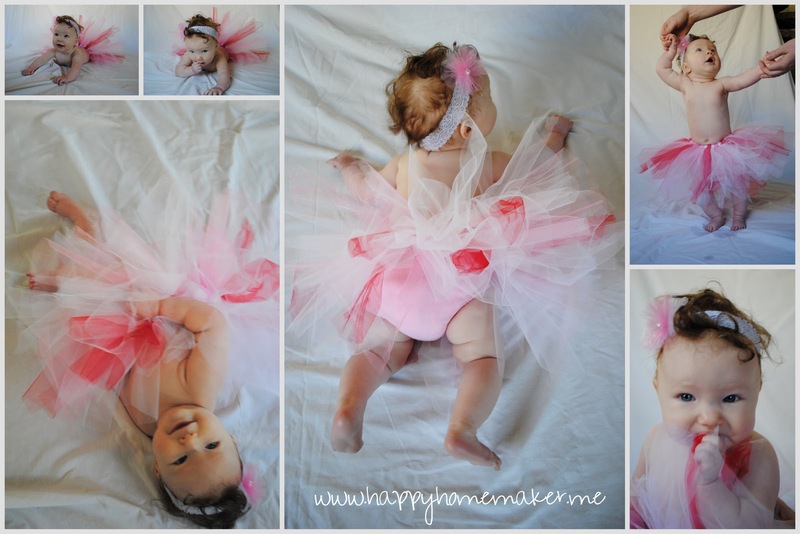 Take a strip of pink tulle (3x10in) and sew a line right up the middle, lengthwise (so there should be 1.5in on each side of your needle.) Once you get to the end, pull the thread tightly to make a little pompom. Tie a knot and cut off. Next, take a strip of white tulle (4x10) and fold it in half so that it is two inches wide. Sew along the two edges all the way. Pull the thread tight, tie a knot, and cut off. I sewed a pearl button to the center of the pink pompom, and then sewed the pompom to the white pouf. Then, I sewed the whole thing onto the elastic lace. So simple and pretty! Join me tomorrow to decorate a beautiful serving tray! 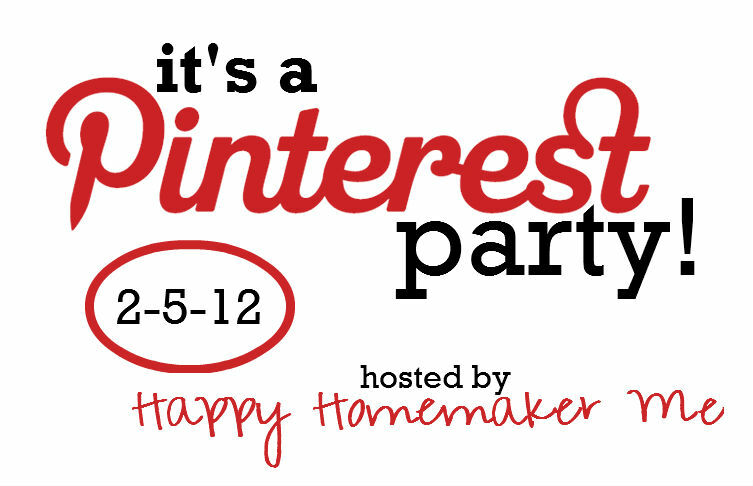 Looking for info on my Pinterest Party? Be sure to link up on February 5th! Get ready for a week of Valentine craft projects starting tomorrow. February is going to be a lot of fun! I wish I could remember who it was that wrapped one of Kayleigh's baby shower gifts with this adorable ribbon last summer. As soon as I saw it at the shower, I knew that I wanted to save it. I had something special in mind for it! Kayleigh has a lot of hair, but it's still not enough to hold a heavy barrette like this yet. 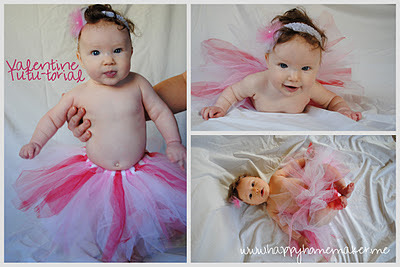 I'm envisioning her looking absolutely adorable wearing this in a couple of years. It's going to be so much fun! This ribbon was wired, so I snipped the corner and carefully pulled it out. Next, wrap the ribbon around three fingers three times. Turn the bow over, loop the thread a knot at the end, and pull tight. Glue it to your bow, and turn the bow over. Do the same thing to the other end of the ribbon. Glue in place, and cut off the excess ribbon. 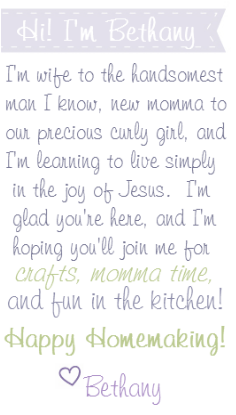 Now, all I have to do is grow some more hair on that baby of mine! I loooove me a good deal. So, when Shutterfly started sending me coupons and offers for free items, I decided to take advantage them up on it. I love the idea of photo books. I love the idea of scrapbooks, too, and I have enough scrapbooking supplies upstairs to make scrapbooks for the rest of my life. But I never get them finished. Photo books, on the other hand, I can handle. 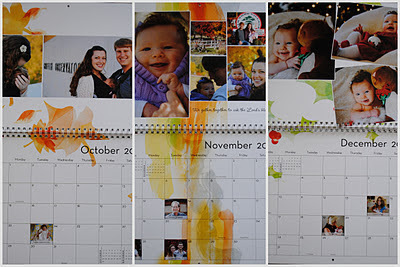 Two weeks ago, Shutterfly sent me an offer for a free hardcover photo book. I couldn't resist. I scanned through the huge selection of beautiful layouts for personalized photo books, and found one that I liked. Squeee! Don't you love that chubby baby on the back cover? All I had to pay for was shipping. So I basically got this beautiful, hardcover photo book for less than $6. 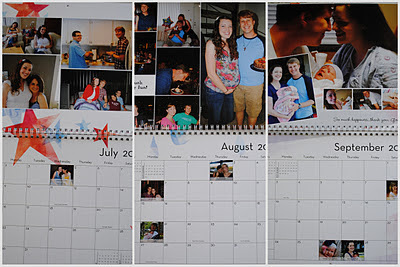 Then, last week, Shutterfly sent me an offer for a free photo calendar. Don't they realize they're losing out on money with me? I took them up on it. The best part was, all of my favorite pictures were already uploaded to Shutterfly's server. All I had to do was plug them into their new spots on the calendar. For the backgrounds, I chose "Seasonal Watercolors"
June is my favorite month--this year will be our fourth anniversary! I'm beyond thrilled to have this beautiful calendar hanging in our kitchen. 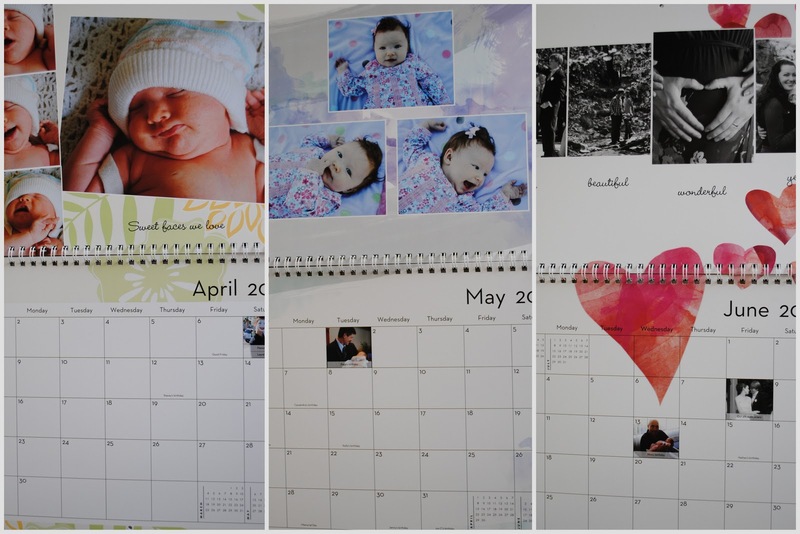 With all of the firsts we'll be experiencing with Kayleigh this year, I'm so glad we have such a special calendar to use to write them all down. We're keeping this thing forever! 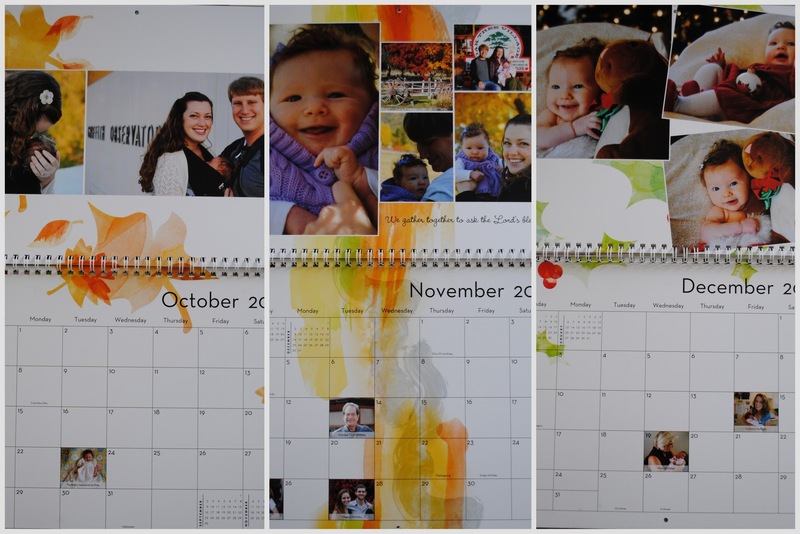 So, thanks, Shutterfly, for giving me an easy way to preserve beautiful memories for free. I just wanted to let you know about a really great way to get beautiful things for free. There are a lot of great photo book companies out there. 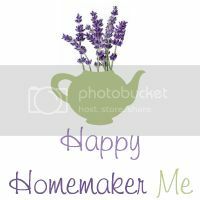 I have made things through Kodak, Snapfish, MyPublisher, and VistaPrint. 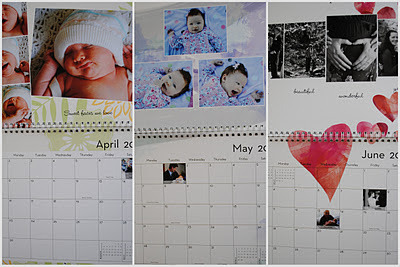 While Shutterfly may not be #1 in quality out of all of these, it is the one that sends out the most offers. 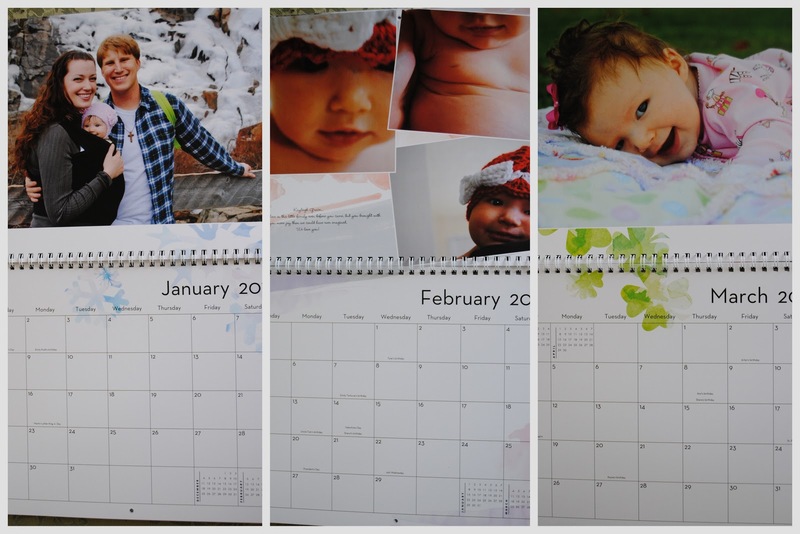 When you sign up for Shutterfly, you automatically get 50 free 4x6 prints. And it just keeps getting better from there. The other day at Target, Kayleigh was being such a cutie. 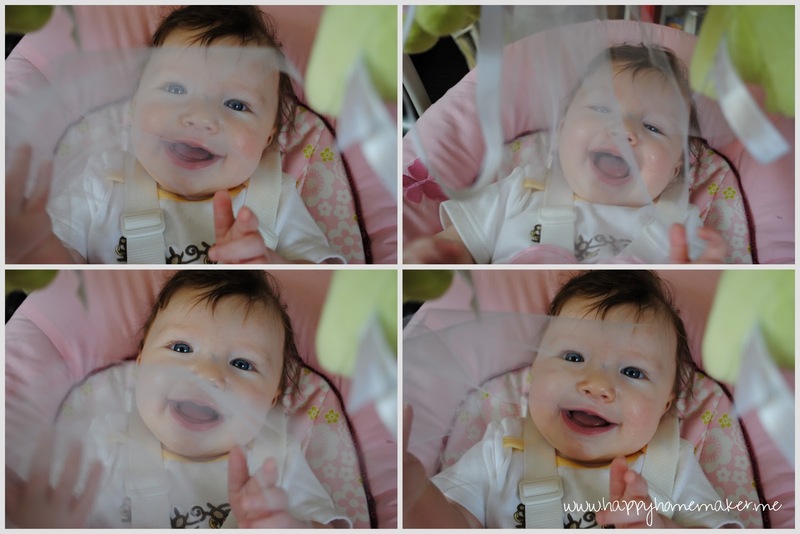 She couldn't see much from her vantage in the stroller, but she smiled up at me constantly and held full on conversations with the ceiling tiles. Such a happy girl! Anyway, as we wandered through the baby aisles (didn't need a single baby thing that day, but who can resist?) I stopped at the infant toys section. Kayleigh just started reaching for things a week ago, and her new skill has me as thrilled as she is. Most of her toys are too big for her to grasp with her tiny hands very well, though, so I started looking to see if there was anything she might enjoy. I landed upon this O'Ball rattle, and handed it to her. I had to whisk it away from her though, because she grabbed it with both hands and started trying to lick it. Not until it's thoroughly washed, sweet girl! As we stood waiting in the checkout line, it hit me. My child is only four months old, and I've already become "that" mom. You know, the one we all roll our eyes at in the grocery store who buys something for her kids every single time they come with her. The one who hushes up their little hissy fits with bribery. Yeah. Don't worry, I won't let it happen. But seriously, how cute is this? don't worry, I washed it! I don't think I've spoiled her with this experience. 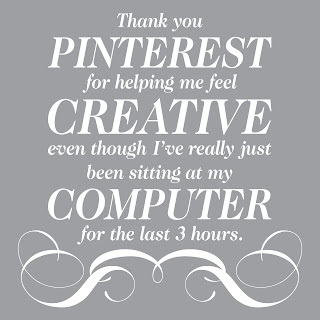 And without intervention, I'm just going to keep pinning. I've been thinking. Why don't we challenge ourselves? There are so many tutorials and DIY ideas out there. 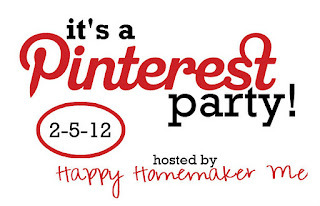 I'm going to host a link party on February 5th. Comb through your boards, search your pins, and choose one project that you've been itching to try. Make it, post it, and link up with me on Sunday, February 5th.